In 1987, hate crimes were committed against LGBT members every hour, according to the LGBT Resource Guide from Adam and Eve. If you’re thinking that statistic is evident of how far we’ve come in society, that’s unfortunately not the case. Almost three decades later, the number of hate crimes committed against LGBTQ members is still staggering. But what’s arguably more worrisome for today’s members is that they inflict a lot of the physical abuse on themselves, especially when it comes to teens and young adults. A report published by Pink News said that of younger members of the community, an estimated 40 percent will engage in self-harming behaviors or attempt suicide at least once, making them between three to six times more likely to do so than heterosexual young people. Their reasons for doing so can range from bullying and hate crimes to isolation experience and depression. Typically, it’s brought on by the aforementioned acts of bigotry. 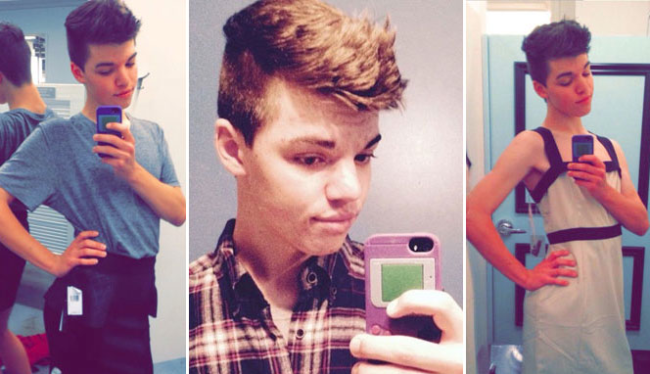 One of the most highly discussed and recent victims to suffer from such abuse was 17-year-old Leelah Alcorn, a trans girl from Ohio. On Dec. 27, as article from NBC News stated, Leelah posted a suicide note on her Tumblr account. Shortly after, while walking along a highway about four miles from her Cincinnati home, she ended her life by stepping out in front of a tractor-trailer. In her note, Leelah describes the hopelessness she had been feeling for years and the lack of support she received from her parents and loved ones. Considering the circumstances that led to her suicide, it wasn’t long before Leelah’s story went viral. Although it was spawned from a tragedy, news of her death caused a domino effect of positivity all over the country. In just a few days, people everywhere wanted to get involved in bringing awareness to the issues facing LGBTQ youth to prevent any such tragedies from happening the future. On Dec. 30, a Facebook page was created in Leelah’s honor titled “Justice for Leelah Alcorn.” Teens and activists facing similar issues were able to share stories of their own obstacles as well as their triumphs on the page. They also offered advice to others needing an understanding ear to bend. In just a few days, the page gained over 37,000 fans and spawned an awareness campaign, #PinkForLeelah. The movement encouraged people to paint their ring finger pink on Jan. 6 to raise awareness on LGBTQ issues. Even celebrities have spoken out about Leelah’s death. Ray Toro, the former lead guitarist from the rock band My Chemical Romance, dedicated his song “For The Lost And Brave” to the teen. On Jan. 1, Toro wrote on his blog that he had created the song about a year ago, but he always found a reason to hold off releasing it. After hearing of Leelah’s passing, however, he felt “sick” over another young person gone because they were “not being heard, not being understood, and not being unconditionally loved for who they truly were.” He felt it was only right for the song to serve as a way to remember her. His post received an outcry of support from fans on his blog as well as his Twitter page, where many of his 286K followers heard about the circumstances surrounding Leelah’s passing for the first time. “Please don’t stop sharing your music it is amazing & the world needs it,” said one fan. 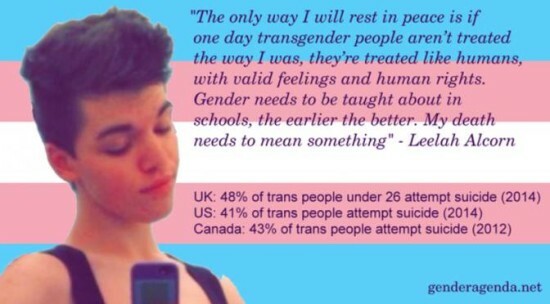 Support for Leelah and LGBTQ awareness kept growing. On Jan. 3, just a few days after Toro’s statement, a petition was created to enact “Leelah’s Law,” which called for a ban on all LGBTQ+ conversion therapy. 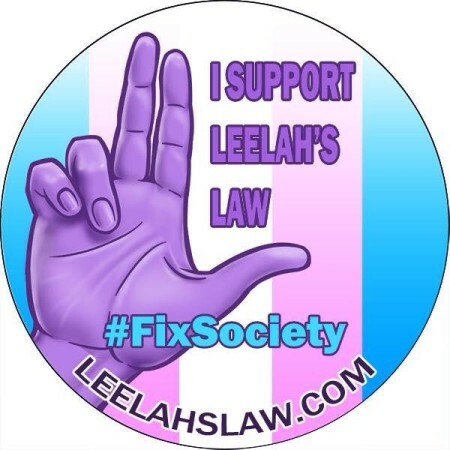 The petition, which you can view here, explains how Leelah’s own parents had forced her to attend conversion therapy, pulling her out of school and isolating her in attempts to change her gender identity. At the time of writing, the petition already received over 35,000 signatures in just a few days. If it reaches 100K signatures, it will be presented to the president for further consideration. And with major news sources all over the country picking up the story, that doesn’t seem like too lofty of a goal. What happened to Leelah was horrible and tragic. Her death was a heartbreaking response to feeling as if she had nowhere else to turn. But hopefully Leelah’s death will mean something. Hopefully all of the subsequent actions that have occurred because of her passing will keep similar incidents from happening in the future, so that no teen ever has to go through what she did. 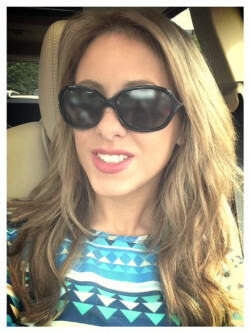 Jennifer Sawyer is a freelance writer from Rochester, N.Y. For three years she’s contributed to various sources on topics including social issues, health, and the environment.